In his search for personal and professional answers to the mysteries of the mind and human relationships, Chris Beels takes the reader on a literary spaceship though the universe of psychotherapy. It is a fascinating journey, filled with excitement and wonder; discovery and enlightenment; hope, disenchantment, and poetic vision. Beels tells wonderful stories of his encounters with the different therapeutic approaches from psychoanalysis to family and narrative therapy, and the ways in which each transformed his thinking, his life, his work, and his relationships. As we follow this postmodern search for the golden fleece of healing, we begin to perceive the art of therapy in its global and historical context, not just as a specialized profession, but as an abiding part of everyday life. This book is an informative and exhilarating experience that is bound to enrich the life and work of anyone reading it. 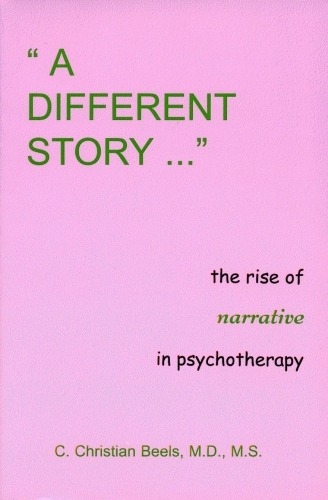 A Different Story is the story of the emergence of the narrative approach to psychotherapy as seen through the eyes of a family therapist whose life and work have taken him across some of the great divides between theory and practice. Both biography and history, this book invites professional readers to step beyond the debates among the scientific, the medical, the spiritual, and the social therapies into a paradigm of integration. Using anthropology rather than psychoanalysis as the lens through which to view healing, the book also addresses the professional reader’s friends and colleagues, the intellectually concerned lay readers who want to know what has actually been happening in psychotherapy in this half-century. A Different Story is a good long tickle to the intellect, and an important perspective for all who are truly interested in what it takes to help people – and what it gives back.